UltraClub Whisper Twill Long Sleeve Shirt Tall Body | 202730, BODEK AND RHODES, UltraClub Whisper Twill Long Sleeve Shirt Tall Body | McDonald Uniforms, Inc. 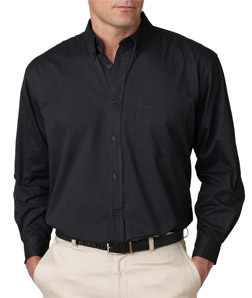 Equal parts easy-care, affordability, and light and airy fabric- the perfect value uniform shirt. The Size XL sleeve length is a 37. The Size2XL sleeve length is 38.